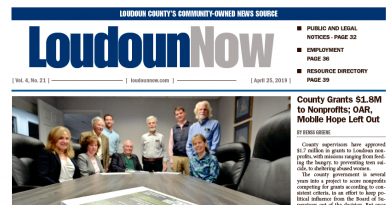 The Loudoun County government’s budget season isn’t getting off to a rosy start. County supervisors were told last night that increases in property values that were expected to hit the books in 2017 failed to do so. In fact, the annual real estate reassessments will likely decline by almost 1 percent. Using the latest figures, if supervisors hike the real estate tax rate by 1 cent, to $1.155, the average homeowner won’t see a tax bill increase. However, that tax rate would still leave a large budget gap, especially for the county schools. Erin McLellan, Loudoun’s director of management and budget, said that holding tax bills level should produce enough revenue to open new facilities—including the Dulles South Multipurpose Center expansion, the Brambleton Library and the Kirkpatrick Fire Rescue Station—but not to fund requested agency increases to maintain the current level of service for the population at-large, which is expected to continue growing at a rate of almost 1,000 people per month. On the schools’ side of the budget, the hole will be deeper. Based on current projections, funding for the school budget would be $17 million short, even after a $58.2 million funding increase over the current fiscal year. Increasing the tax rate by 1 cent would generate an additional $7.5 million in revenue. However, no supervisor was discussing the possibility of increasing tax bills on Tuesday night. Over the objections of Supervisor Ron Meyer (R-Broad Run), the board instructed County Administrator Tim Hemstreet to build his proposed budget based on the $1.155 equalized tax rate and to provide options for supervisors to make reductions from there. Meyer wanted Hemstreet to use the current tax rate, $1.145, and let the board decide whether increases beyond that were merited. 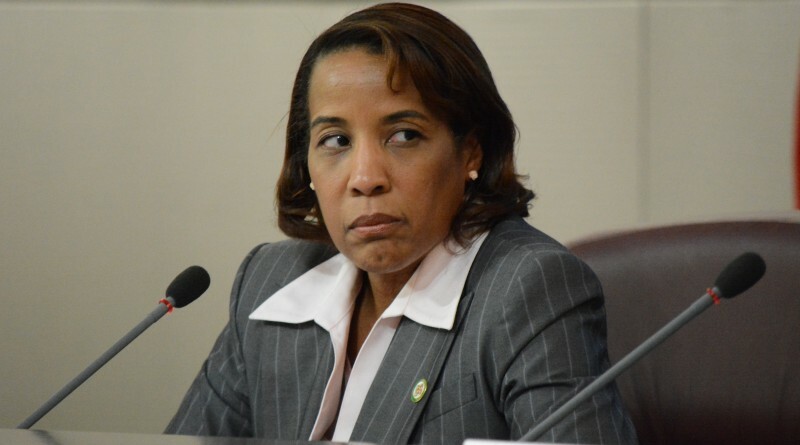 County Chairwoman Phyllis J. Randall (D-At Large) said that county agencies are understaffed and have been for years, and there is no fat left to cut from the general county government’s side of the budget. “We don’t have waste, fraud or abuse in our budget. We just flat don’t,” she said. But she said she was holding out hope for a “miracle” to ease the budget strain—either locally or at the state level. “I hope that some magic happens,” Randall said. 1. LCPS bases its budget off the previous year plus incremental costs. 2. Each year, LCPS must “return $12-22M in unspent funds. 3. LCPS claims it will be $17M+ short. Given LCPS lies about its true budget needs, just take the difference from there. I hear many asking why would LCPS exaggerate its budget by $20M? LCPS knows it could not get support for frivolous needs like turf fields or smart boards in the normal budget. So they exaggerate the cost of personnel, plan on having a massive balance at the end of the year, and then buy goodies they want. It’s called gaming an ignorant populace. Until citizens wise up and throw the bums out. They use that line every year. Every single year. And I can get you a fantastic price on the Eiffel tower too. Are you really sure about that statement Ms. Randall? 100 percent sure? Double dog pinky swear kind of sure? I bet that high dollar, tax payer funded, PR staff of yours spit up their 8 dollar latte’s when they heard that line come stumbling out. Hoping for “magic” is not a plan. Tough decisions, sacrifice, and consensus building is the task at hand.